Lucifer seeks to “hack” the time line that God designed for us so he can introduce a “virus” that makes us ineffective when we use God’s principles. Cost includes 428 days of access after purchase date. Many people are not living effectively. For some it’s obvious that they are not investing in their life, so there is no return on investment. Others are investing unwisely, so the return on their investment is pain and turmoil. The mystery category is those who seem to do all the right things in the pursuit of spiritual maturity and effectiveness in the Kingdom, but they get very little return on investment for the effort and skill they display. For this group, it is worth looking into the problem of Luciferian time. We are given a time line by God. Psalms 139 says that every day ordained for us was determined by God before it came to be. When Lucifer is able to compromise the time line God gave us, it is like a computer getting hacked. When our time line is hacked, Lucifer can remove the resources that God has given us and can use them for himself, or he can intrude a virus into our life that devours our effectiveness. 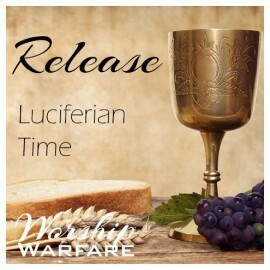 This teaching describes the symptoms of a Luciferian time line and concludes with Holy Communion, which does warfare to remove the virus of Luciferian time. This problem affects a vast number of people, because it is not broadly known or understood and because the symptoms are a long, slow draining of life, rather than a specific, acute problem. Wow, this is really fascinating and brand new! I am so excited to be able to try out a new healing tool on 5 groups of people that we were stuck with in the past! Glory to our King! To learn the difference between Satanism and Luciferism is fascinating - but it makes so much sense! The Scripture and God's way of dealing with Lucifer in the end is a loud shout of victory to our King! The precious revelation about time as an essence, and God's role in creating and dealing with it deeply touched my heart! This live stream is for sure a treasure of new revelation! Loved it! There is lots of fiction about people being in "other" time. Imagine life when “other” time is in your time line now! You have your time and “other” time competing for control. Have you experienced back to back days where the rules seemed different? You might be the victim of a Luciferian time hack!